Our range of training courses for instructors and aspiring snowsports professionals is quite varied, but very comprehensive. We offer courses aimed at current Instructors looking to improve their skills and prepare for exams and also courses for current skiers looking to launch a career in the snowsports industry. Whatever your interest, we are sure to offer a course suitable to your needs. 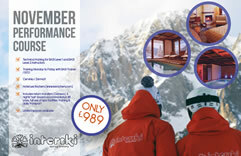 5 day continual training and assessment course for anyone wanting to work specifically with adaptive snowsports. This award is of value to all those working with young people in an outdoor environment. Led by a BASI Level 3 Trainer, the course is ideal for anyone wanting to get their ski legs back/wanting to improve or to prepare for a BASI Technical exam. 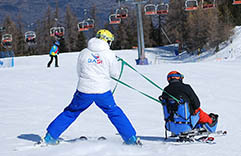 Interski offers the most inclusive package available and is the only Gap Year instructor training course to guarantee paid teaching work after the course! 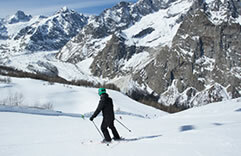 Our specialist Ski With Confidence Course is ideal for anyone wanting to improve their technical skiing and understanding. 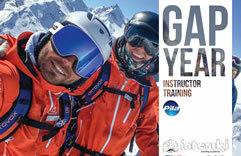 Fully inclusive snowboard gap year instructor training. 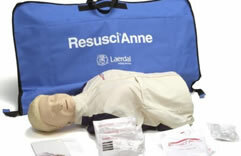 10 week course based in Italy with up to four weeks paid word on successful completion of the course.